Attorney Laura Barrera (left) and legal secretary Martha Arellano share information at the Thomas & Mack Legal Clinic at the University of Nevada, Las Vegas. Its services include an immigration clinic. It’s been weeks since immigration attorney Laura Barrera has had a full day off. Like hundreds of her colleagues, she can barely keep up with fallout from the Trump administration’s family separation policy – and a host of other procedural changes. “It’s been crazy,” Barrera said from her Las Vegas office, where the current caseload is more than 180 clients, most of them children. Immigration court proceedings are civil, not criminal, so there is no automatic right to a lawyer if you can’t afford one. That puts more pressure on nonprofit legal clinics and immigration lawyers willing to take cases for little to no charge. Across the nation, only a handful of states and cities provide funds for lawyers to aid people facing deportation. California became one of them last year, following a study that found that more than two-thirds of detained immigrants in the state lacked legal representation. It also found that those who did have lawyers were five times more likely to win their cases. The weight on the clogged immigration system, already buried in a backlog, has increased with a series of moves by the Trump administration. Among those: efforts to detain or deport adults and send their children to often far-flung centers;policy changes in government agencies that make it harder for children to get legal status and seek help from a lawyer; and two recent rulings by U.S. Attorney General Jeff Sessions that limit immigration judges’ ability to decide when a case is ready for a final decision. Sessions holds substantial sway over immigration courts because they and their 334 judges are part of the U.S. Department of Justice, not the independent federal judicial system. Wendy Young, president of Kids in Need of Defense, one of the largest nonprofit legal organizations working on behalf of unaccompanied children, sees the events of recent months as integral to President Donald Trump’s broader plans to restrict immigration. The changes are aimed not only at immigrants who try to sneak across the border, but also at those trying to enter legally and claim asylum. In recent months, Sessions has taken several steps to push immigration judges to speed up their cases, even as the head of the judges association and some Republicans in Congress have suggested that this could backfire, actually increasing the caseload. They suggest that more resources and more judges might be the most practical way to reduce the backlog while ensuring that proceedings are fair and do not further clog the system with appeals. Applying a rarely used legal tool that gives the attorney general the right to review cases decided by immigration judges, Sessions ended the long-standing practice known as administrative closure. It had allowed judges to manage their dockets by putting cases on hold, temporarily labeling them inactive while they moved on to other cases. Administrative closure also allowed related proceedings outside immigration courtrooms to progress, such as cases under review by state courts, U.S. Citizenship and Immigration Services, or the U.S. Department of Health and Human Services – all of which play roles in determining the safest setting for a child. 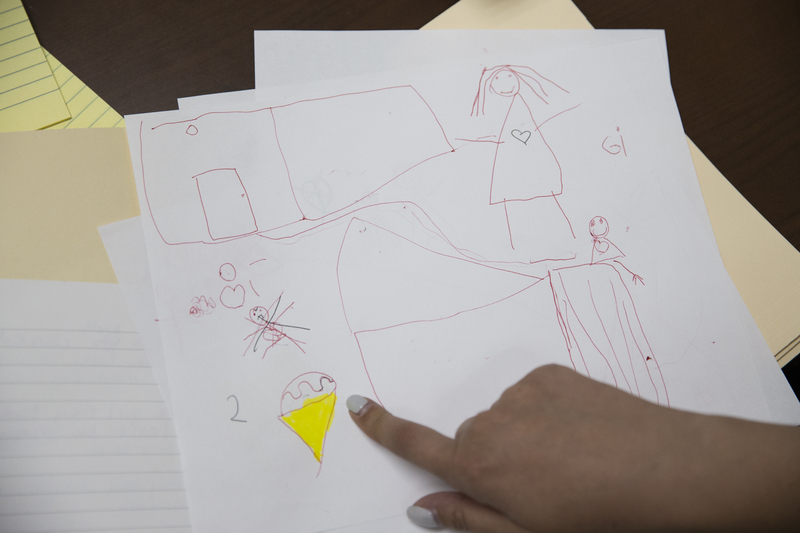 The approach also gave immigrants and their lawyers time to gather needed evidence and documents in both adult and child cases, instead of returning frequently to court to ask for additional time. “Judges now will be forced to keep long-pending cases on their active dockets, contributing to the already massive backlog of immigration cases,” according to an analysis by the American Immigration Council. Limits on administrative closure risk causing “a huge headache” for the system, she said. The U.S. Department of Justice has said that on Oct. 1, it will launch a quota system for immigration judges. In June, Sessions said judges would be asked to complete 700 cases per year. In addition, the department already has increased scrutiny of the length of time a judge takes to complete a case. 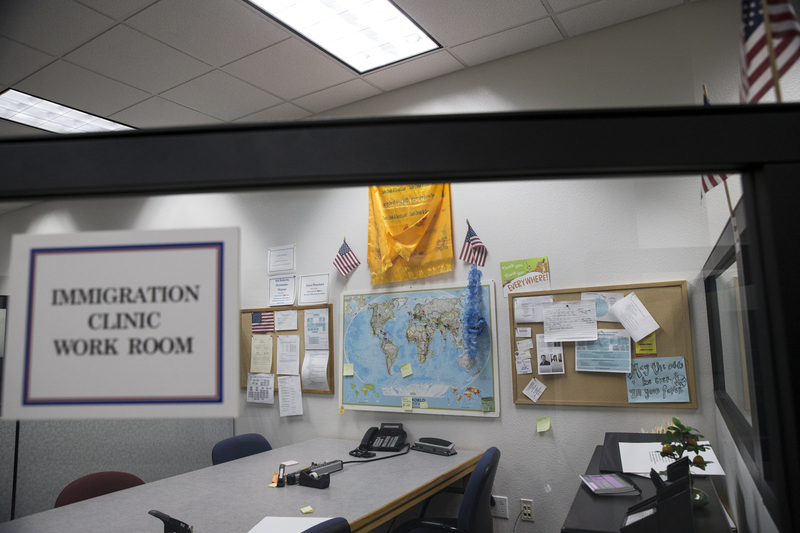 James McHenry, director of the department’s Executive Office for Immigration Review, which supervises immigration judges, said in an interview with the Center for Immigration Studies that there will be flexibility in the system. And at a Senate hearing in April, McHenry acknowledged that there were some issues, including the continued use of paper files, which slow the system. He also said it “tacitly impugns the integrity” of judges to suggest that they could not meet performance standards. A 2017 study by the Government Accountability Office suggested that there were several ways for immigration courts to set priorities and completion deadlines. But it also said there were internal inefficiencies that may cause delays. “Systematically analyzing the use of continuances could provide … officials with valuable information about challenges the immigration courts may be experiencing, such as with operational issues like courtroom technology malfunctions, or areas that may merit additional guidance for immigration judges,” the report said. Sessions also tightened asylum seekers’ ability to claim that they have a credible fear of domestic and gang violence in their home country. He vacated a 2014 decision by the Board of Immigration Appeals that had recognized several ways that victims of domestic abuse could qualify for asylum. If there were weaknesses in an abuse case, Sessions ruled, the judge could dismiss it quickly without examining other claims that might point to risk in the home country. “If an asylum application is fatally flawed in one respect, an immigration judge or the Board need not examine the remaining elements of the asylum claim,” Sessions wrote. He is expected to rule soon on a third case involving the use of continuances. Immigration court judges lack the independence of other federal judges and don’t have life tenure. So if they don’t comply with Sessions’ directives or don’t meet quotas for completing cases, their jobs could be at risk. Slavin said a quota system creates an inherent conflict of interest for judges. Because it could affect a judge’s ability to keep his or her job, she said it conflicts with long-established judicial canons that say a judge should have no financial interest in the outcome of a case. Many of the directives also go against the findings of a 2017 study, commissioned by the Department of Justice and conducted by consulting firm Booz Allen Hamilton, that discouraged quotas and deadlines, encouraged greater access to lawyers for those seeking legal status, and recommended allowing judges to continue using administrative closure to more efficiently manage their dockets. In Charlotte, North Carolina, Maureen Abell, a staff attorney at the Charlotte Center for Legal Advocacy, said the changes by the Trump administration are bogging down lawyers in her office because they need to respond with claims or challenges. “All of the things we are doing for every single case takes much more work,” she said. Lawyers from the Department of Homeland Security, for instance, routinely are resisting requests for more time to gather documents, she said. “Plenty of these cases are going to get approved either way,” she said. But the more time they take, the less time she has for other clients. Efforts to speed up procedures in immigration court, and other changes that have given more decision-making authority to officials at the border, mean that many immigrants will go through the system without the help of an attorney. Yet that system is complicated. It involves shuttling among federal agencies, immigration court and state courts and is difficult to decipher even for someone whose native language is English – and particularly for children. 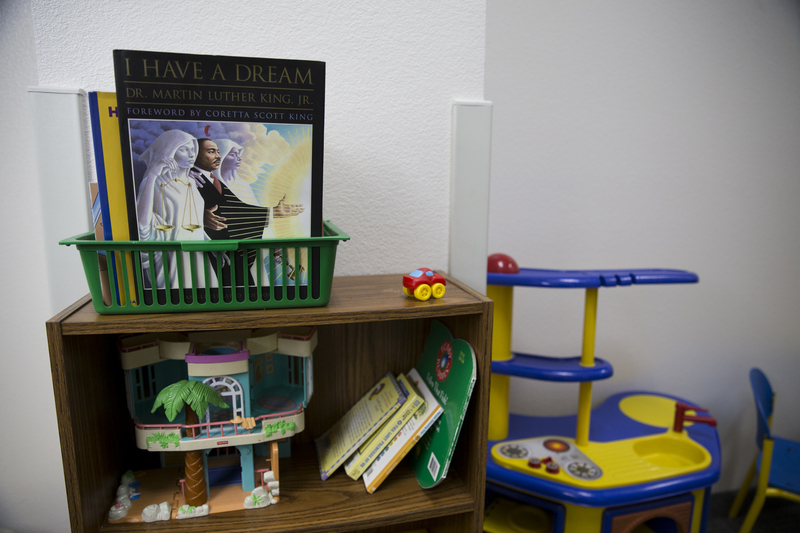 “It is sad, the harried process the kids go through when they come to us,” Slavin said. Misinformation abounds, and the process can be confusing. When people are released from detention, for example, they are told to report to the Department of Homeland Security on a regular basis. “People tend to get that confused with court. They don’t tell them about the court date, that it is different,” Slavin said. So, she said, some people think that the check-in with homeland security officials is sufficient, and they miss a court date. A missed court date can lead to immediate deportation or further court delays. Slavin said the system operates more smoothly when detainees appear with lawyers, echoing findings of the Vera Institute of Justice, the California Coalition for Universal Representation and the Booz Allen Hamilton study. The Vera Institute, a government contractor and think tank on legal issues, has promoted universal representation for immigrants seeking legal status in the United States. But the organization agreed without any public comment to the Trump administration’s recent cutback of a program that provided legal representation for children who had been released to the custody of an adult. Oren Root, who leads the Vera program, notified grantees that they could no longer use the federal funds he administers to represent children who had been released to an adult, whether a parent or some other guardian. Despite repeated email requests and phone calls seeking comment and a description of the program, which Vera manages for the federal Office of Refugee Resettlement, both Root and Vera spokeswoman Poonam Mantha declined to comment. 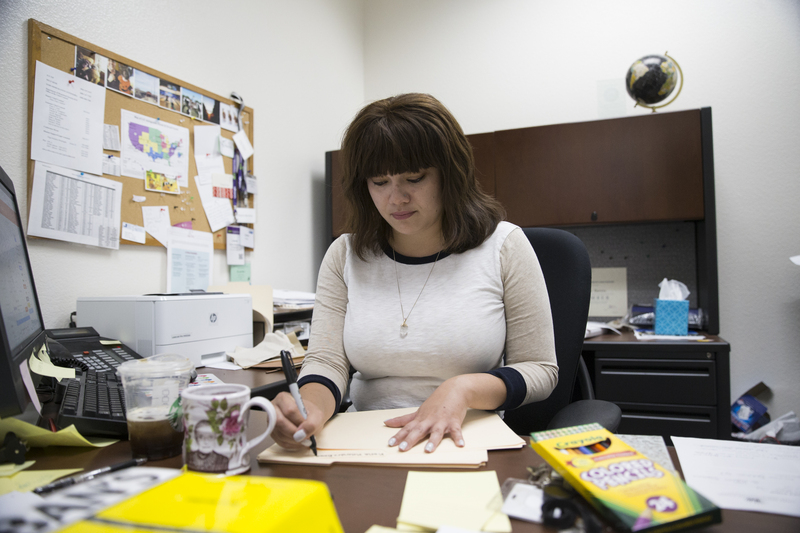 Many lawyers, such as Barrera, work for small legal clinics. She’s one of two lawyers and a law professor who work at the University of Nevada, Las Vegas Immigration Clinic. Last year, the clinic handled about 240 cases, and Barrera said she often speaks with people who need guidance about their legal status but whom the clinic doesn’t represent. 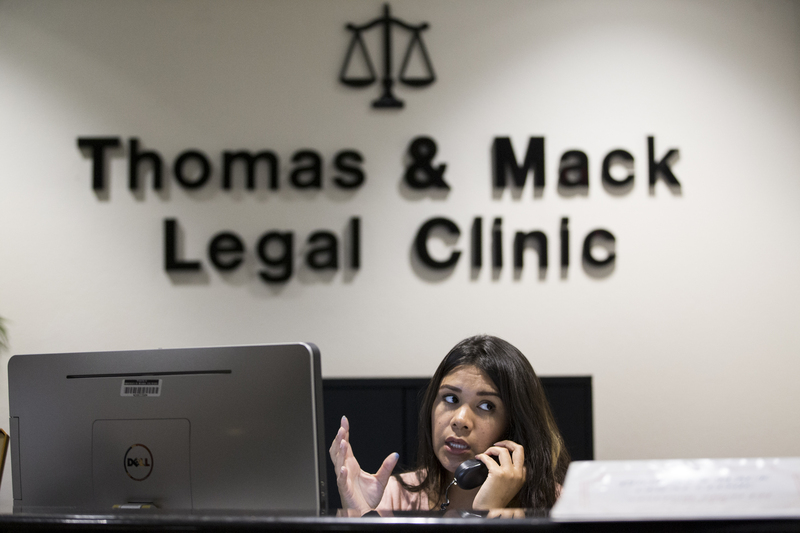 In turn, many clinics rely on a combination of government funding and private donations to stay in business and also try to enlist pro bono help from private lawyers and law students. Those lawyers and law students, however, need training from the clinic’s own lawyers. And while recent attention to the plight of parents and children separated at the border touched off a massive fundraising effort that led to donations totaling more than $21 million for the Texas-based Refugee and Immigrant Center for Education and Legal Services, or RAICES, those funds are not specifically intended to expand the organization’s legal capacity. Instead, they are supposed to help provide bonds for the release of adults who have been detained by immigration officials, said spokeswoman Jennifer Falcon. Michael Kagan, the law professor who oversees the University of Nevada clinic, estimated that even before the recent surge in detentions at the border, the clinic and other area attorneys were able to represent only about 40 percent of those facing deportation in the Las Vegas immigration court. “We have never been able to meet the demand,” he said. After the Trump administration opted not to renew a $4.4 million AmeriCorps program that had helped fund the clinic, a local lawyer, Ed Bernstein, stepped in and donated $250,000 to be used over five years for staff and operational costs. The Trump administration also has added a new layer of complexity to the legal system for immigrants by charging many of them criminally – which then entitles them to a government-paid lawyer, whether or not they are in the United States legally. That has led to mass legal proceedings with public defenders representing dozens of detainees simultaneously. “Federal public defenders offer very high-quality counsel, but they are being presented plea bargains from the U.S. attorney’s offices in a very short time window,” said Ingrid Eagly, a law professor at UCLA who has studied the impact of representation by lawyers on the courts and immigrants seeking legal status. Regardless, most cases will remain in civil courts. Young, president of Kids in Need of Defense, predicts that immigration lawyers will be overwhelmed for the foreseeable future. This story was edited by Amy Pyle and copy edited by Stephanie Rice.